This is my first post for 2018 and after a few years of only posting occasionally I hope to continue to post regularly during 2018. 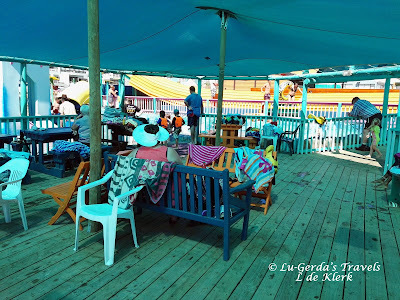 We spent our summer holiday at home in Mossel Bay and also made a few trips to George. 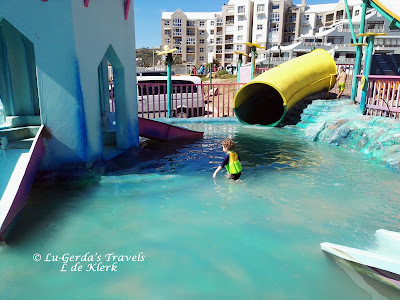 During this trips we had a lot of adventures from swimming at the Point and Pikkieland to Happy Valley in George and a visit to the Dias Museum. We also hosted lost of visitors in our apartment. 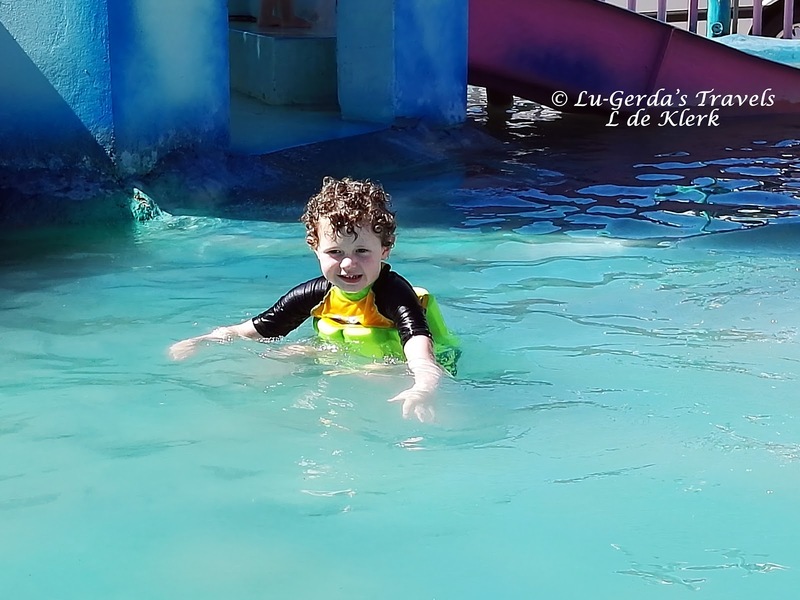 One of the highlights for JW (my 3-year old son) was the morning at Pikkieland at Diaz Water Park. 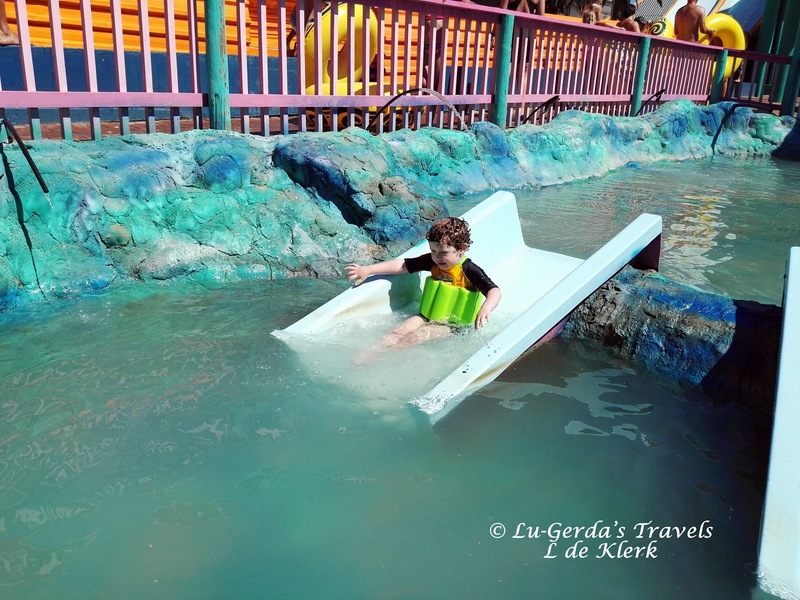 The entrance fee for Pikkieland was R 40 per child and there is no fees for the adults that are with the children. Pikkieland has two shallow pools for small children to play in. 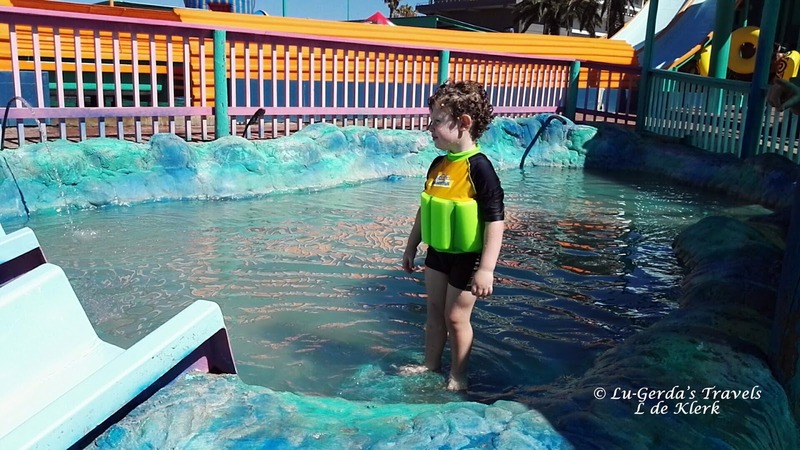 In the smaller pool the water is only about 30cm deep. 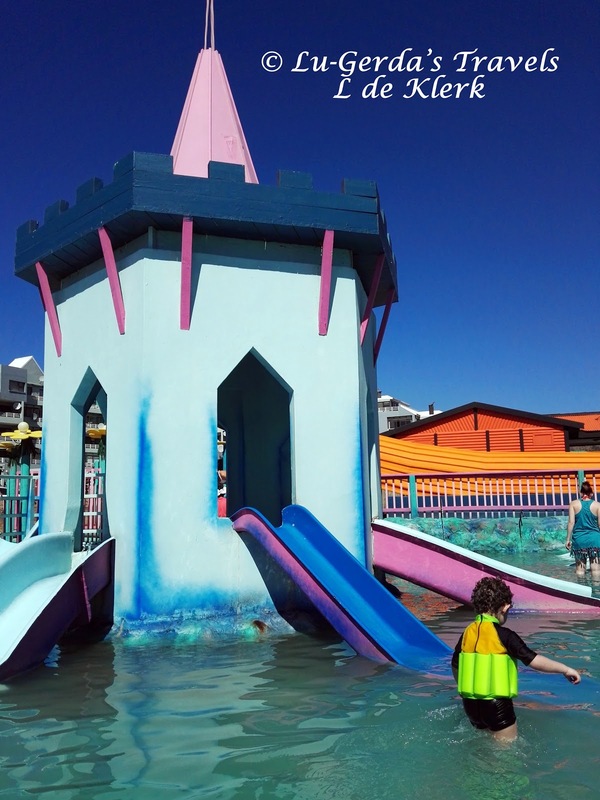 In the bigger pool the water reached just above my knee and is is the perfect dept for the children to play in. There is a tower in the middle with lots of slides that let them slip into the water. There is not a lot to do for adults. The Water Park has other activities but you cannot leave your child alone at Pikkieland. There is a nice wooden deck with benches to sit but most parents were walking in the water with their kids. After a while I sat in the water with JW and even went down one slide with him (He needed a bit motivation but once he got the confidence he was sliding the whole time. 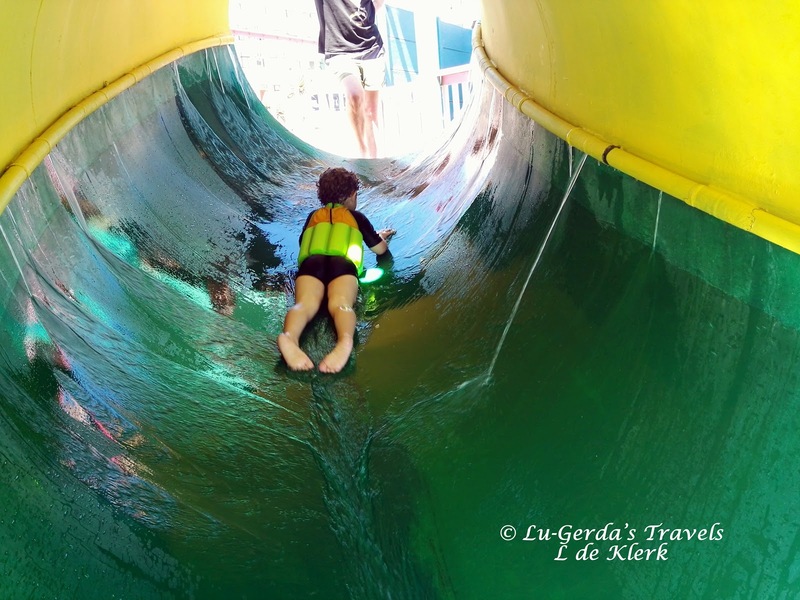 There are no lifeguards on duty at Pikkieland and parents must supervise their own kids. My dad went with us and we took turns to walk and play with JW in the water and very soon 2 hours passed. JW was not ready to go home but the sun was getting very hot and we went home with promises to return soon. This was a great outing and I will definitely take JW again. I did feel that the entrance fee of R 40 was a bit expensive for a two hour outing. I hope when the holiday high season is over that the prices will fall a bit. I also was a bit disappointed in the water quality. The park opens at 9 am and we arrived shortly after 9 am but the water in the pool was murky and full of small pieces of grass. I think they could keep in cleaner.